"The rate at which marriages/relationships collapse now is assuming a social symbol status in our society." Ruggedman, a musician in Nigeria started his marriage tips on Twitter this way, and makes me believe this is going to become a trend. I think he means social status symbol, and if that is so, would answer the question in my IK'sTipsonGettingAMan post. I think Ruggedman nails it that it is not getting married that is the problem, but having a marriage that works. Now, I am not endorsing everything he said. He too exhibits the same chauvinistic tendencies that turn me off some men. And, a big AND, there is no justification for turning someone into a punching bag. No matter how responsible a man/husband is, or how he thinks his wife needs to be corrected, he should not beat her. And especially not for wanting respect. Everybody needs and deserves respect, even married women. That said, Ruggedman made the effort to be more balanced, addressing both the male and female sides of the problems that may crop up in marriage, and giving his own opinion, which he is entitled to, on how people may resolve this in their own personalities, even before marriage. 16.If u know u can't stand being corrected, please marry urself. 15.Ladies, if u know you can't be submissive please don't go into marriage so you're not turned to a punching bag! 14.u r D teacher,guide,bodyguard,spiritual leader,role model.nt a deity.So dnt expect 2B worshipped.U earn respect by being responsible. 13.There's no way u can abandon D care of ur family at D expense of ur lifestyle.Dey r ur priority n everything else including u comes last. 12.Guys, if u know u can't stay responsible please remain single until you mature. 11. from their poisoned chalice.Once dat happens,ur marriage is in a process of dying a slow death.B very mindful of where u go 4 advices. 9.Don't just get married because of the pressures from ur families. They are not the ones getting married-you are! 8.Don't get married out of desperation, because u think u are getting too old. 7.If u know u can't be faithful, remain single. 6.If u r getting married cos of D things u desire or hope to gain from D other person,or 2 satisfy ur fantasies,please remain single. 5.If u don't know what marriage is all about, please remain single until u do. 4.If u know u can't handle the weight and pressures of marriage, please remain single. 3.Dey will choose aso-ebi,hire a hall n popular musicians.Even a question like "So wen r u getting divorced? 'Will become commonplace. 1.The rate at which marriages/relationships collapse now is assuming a social symbol status in our society. 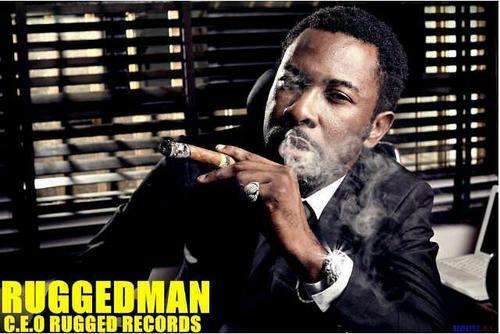 PS- I don't know if Ruggedman is married. Maybe he's taking his own advice 4 - 12. No offence meant. I think he is on point in that part of his commentary.